Oh, yes – I love pockets! 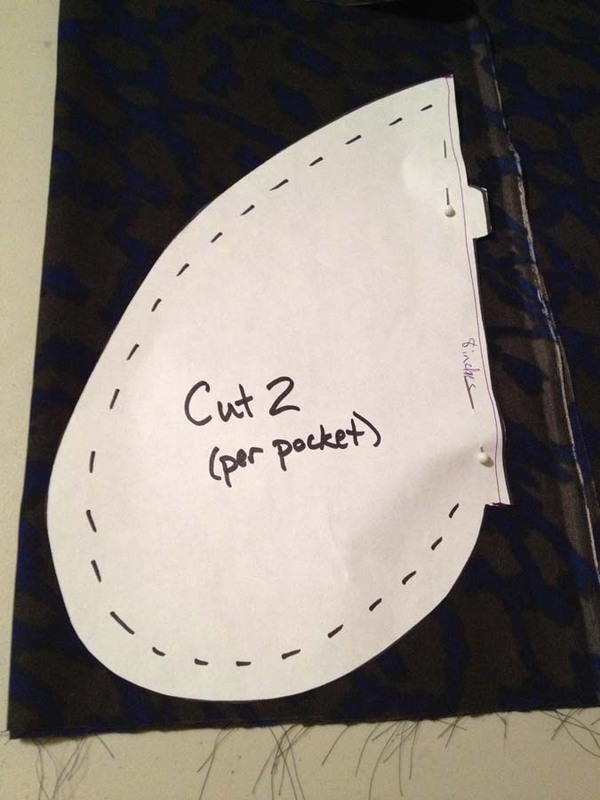 Here is my previous post to add a basic top pocket, now let’s move on to a basic side seam pocket. Pleated or full skirts are ideal for this hidden pocket. 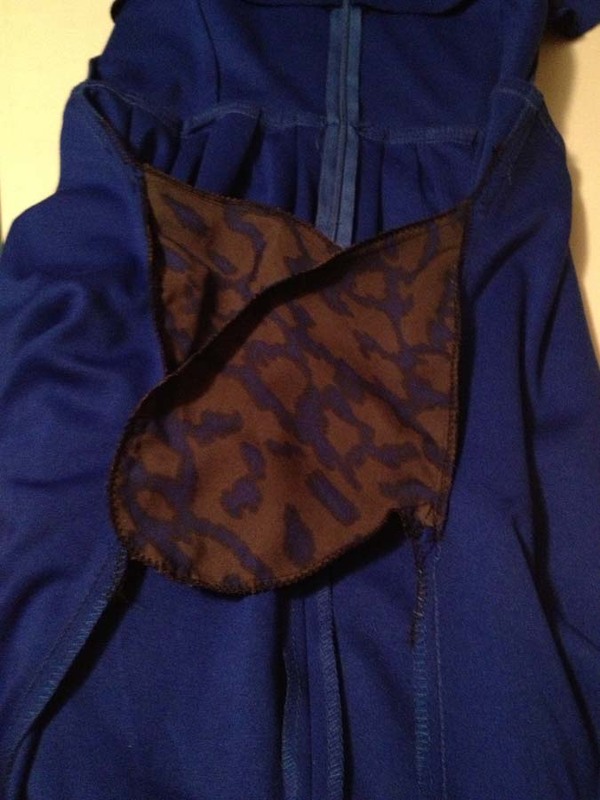 I selected this dress with a back zipper and minimal stretch to the fabric. Trying to match this fabric was a lost cause so I used a coordinating print in a lightly lighter weight fabric so reduce bulk. Print Hidden Side Pocket Pattern and trim to the solid black line. 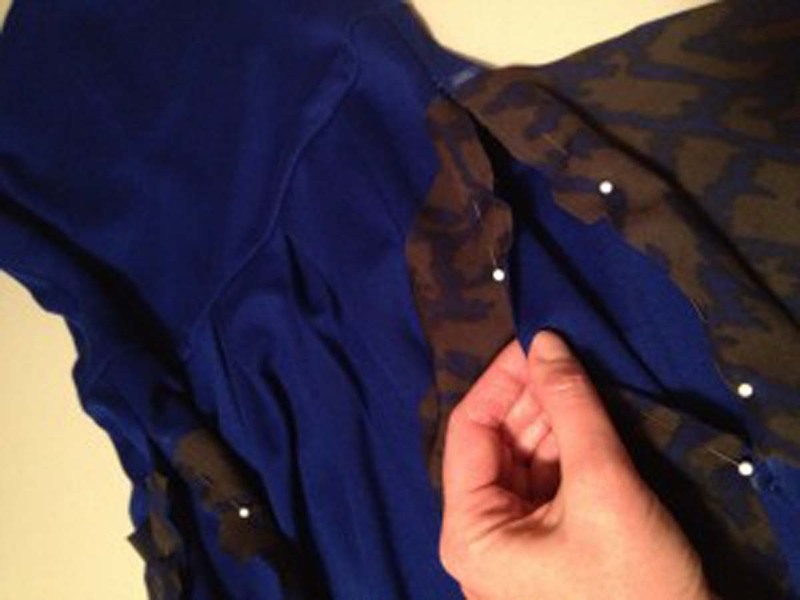 Mark the location of the pocket top and bottom on the outside of the garment. Use bar soap like a crayon for dark fabrics, and wash-out fabric markers for light fabrics. 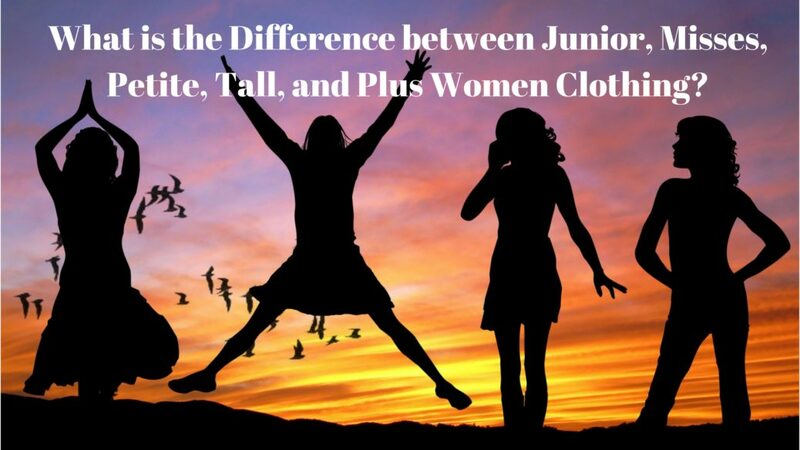 I find it easier to try the garment on and mark the top or bottom while I am wearing it. 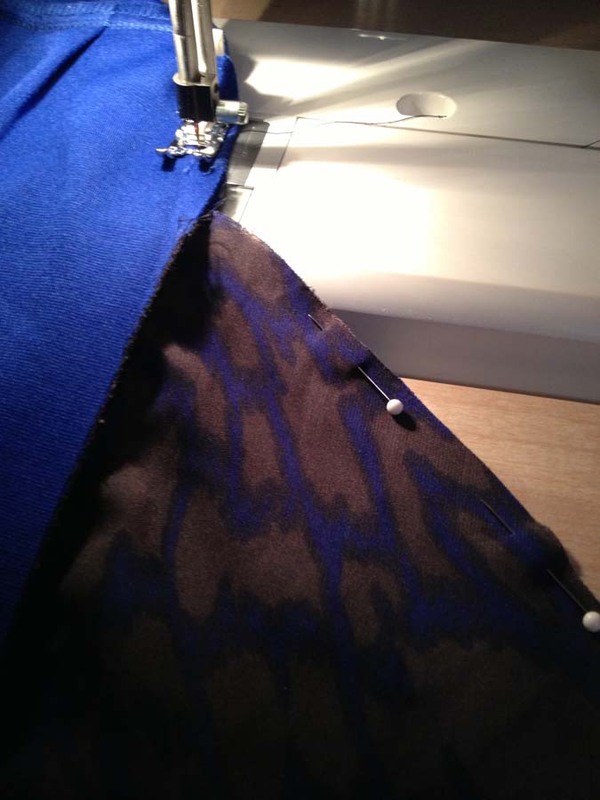 Using a seam ripper, cut and remove the thread between the pocket marks. Remove the thread an inch above and below the pocket location. 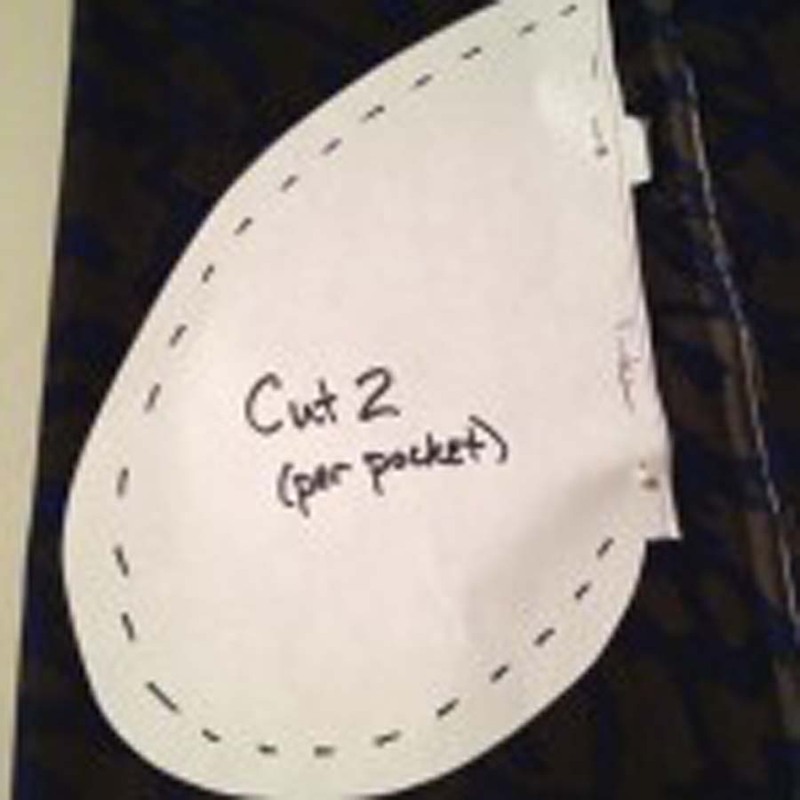 Fold the pocket fabric 2 or 4 layers, and cut 2 layers for each pocket (For 2 pockets, cut 4 layers). 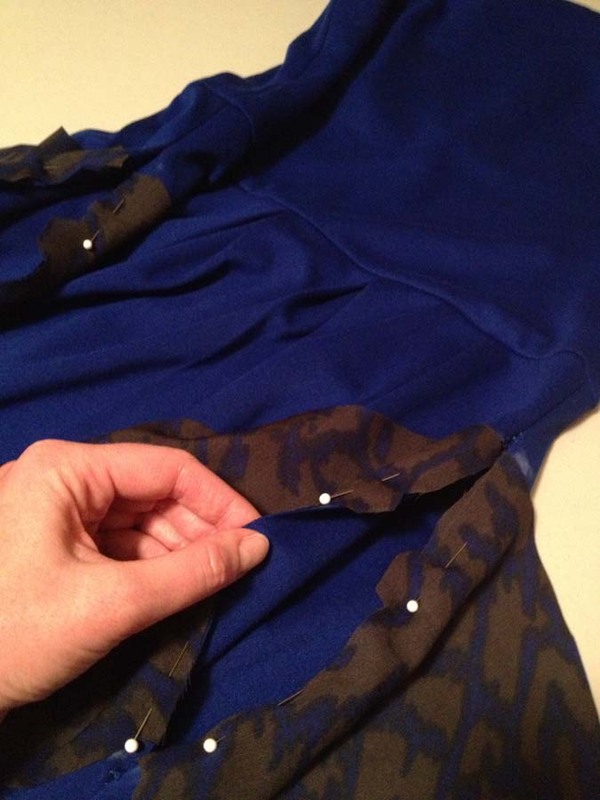 Pin the pocket to the outside of the garment, lined up between the pocket location marks. The pockets will look like “flaps”. 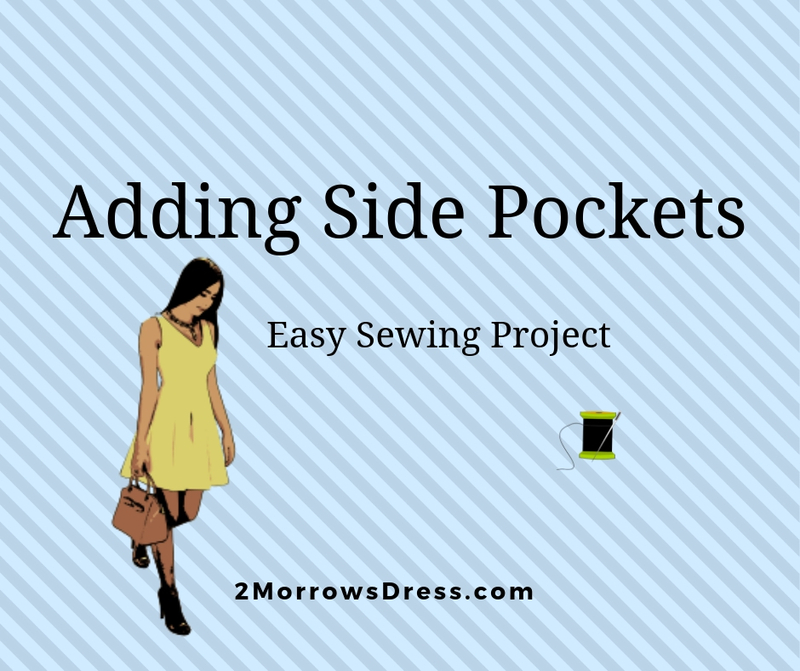 If there is a inside and outside (right side or wrong side) of the pocket fabric, then pin the pocket so that side you will see when you look into the pocket is laying on the outside of the garment. The side that will be against your skin is pinned towards you. Sew the side seam starting above the pocket, along the outside of the 2 pocket layers, and down below the pocket. Turn the garment right side and admire your work!